Idiyappam is a famous Tamilnadu dish which can be had as breakfast, lunch or dinner! Generally, the cooked rice flour is made in to noodles and steamed. 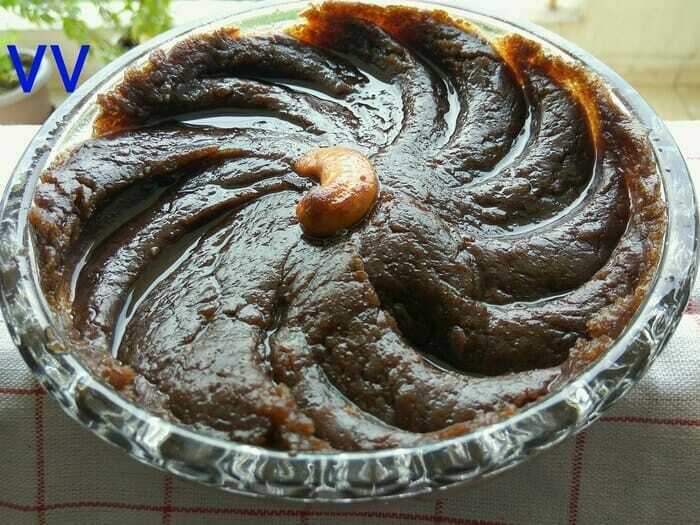 It can be served with kuruma, ishtu or sweetened coconut milk. 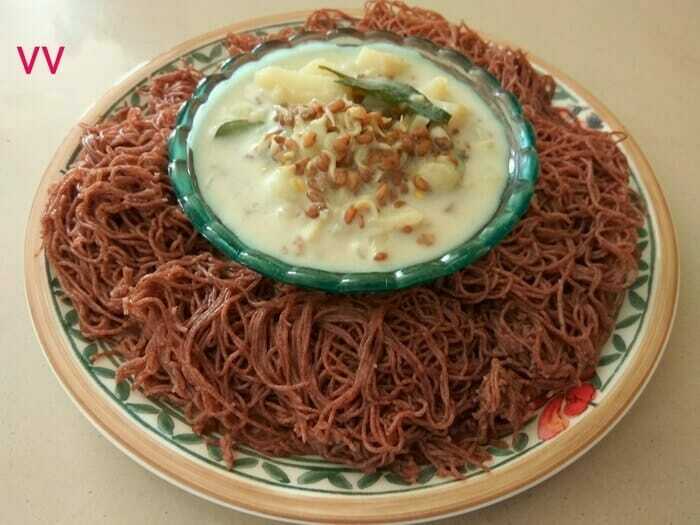 I have used Ragi flour and Autolysis helps to get soft noodles . 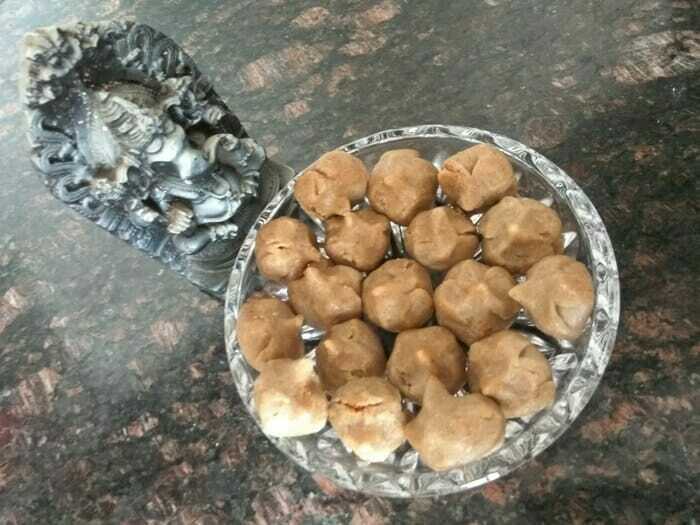 I served the idiyappam with ishtu, made of potatoes and sprouted fenugreek/methi seeds. 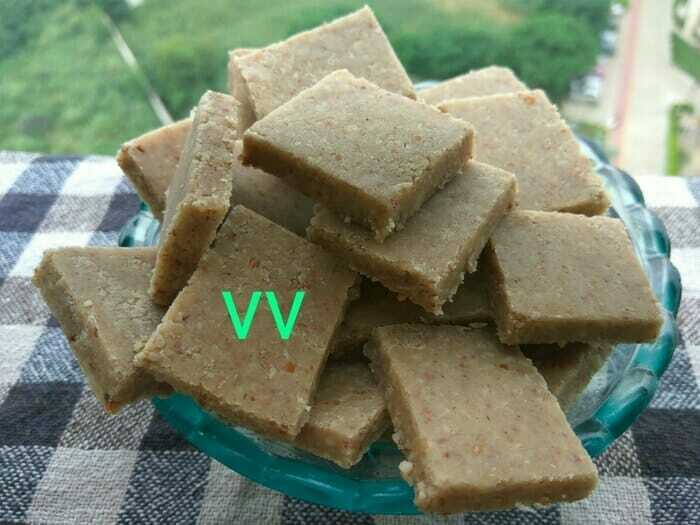 Check OPOS section for the recipe. 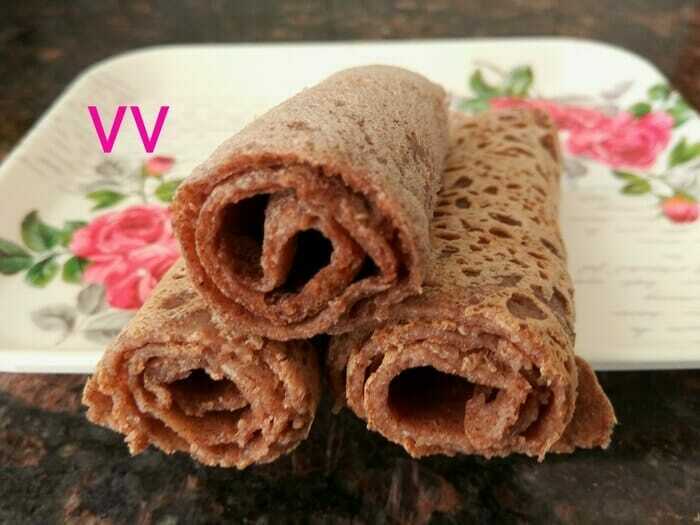 Injera is an Ethiopian Bread made with Teff. It is not a millet, but has the same nutritional properties. This wonder grain is available in Amazon. Ethiopian cuisine is very close to Indian cuisine and this bread is made with sour dough by fermenting. The bread is made in a huge pan and is soft like our Aappam! I will share the recipes of lentils and veggies which are served with Injeras separately.